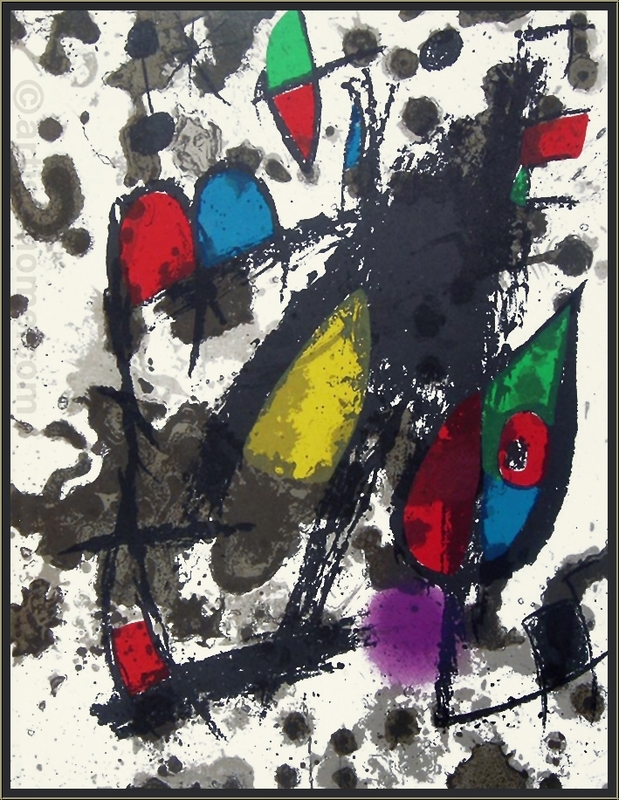 This vivid graphic is another unnamed piece of art Miró left behind. This picture also requires the viewers to use their imagination as it is very abstract and the more abstract a picture, the more challenging the interpretation of what can be seen in it. 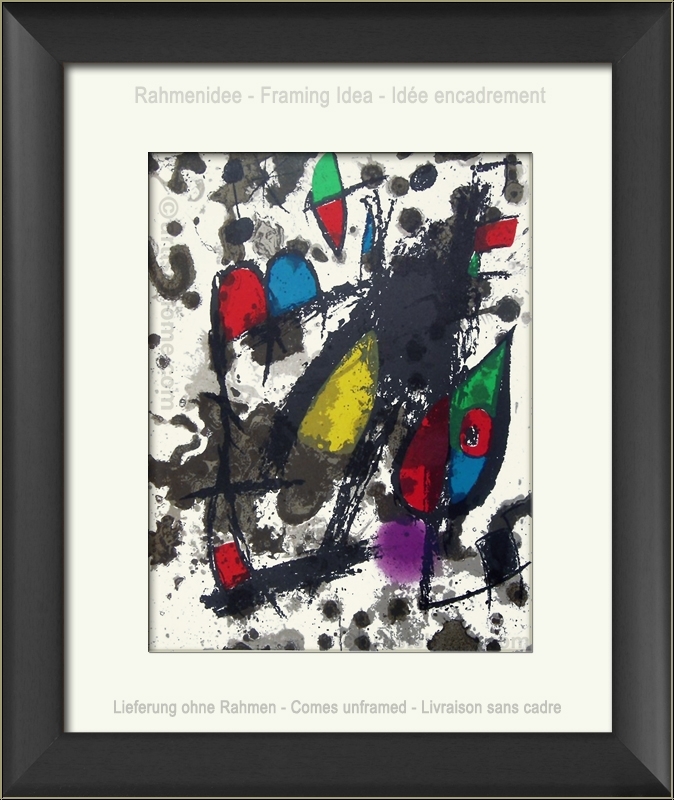 In this piece, Miró lovers have come to identify a little mouse cautiously peering out from behind the wall. This motif has been used for the jacket of the book. In well-preserved condition. Comes unframed. My fourth print from ArtistsHome and as before I am very pleased with the print, it's quality and the service. The item is as described and in the very good condition stated. An affordable way to own art by well known artists. Christine is very helpful, prompt to reply and deal with the order.